A research guide that provides a tour through USA.gov. USA.gov is the official web portal of the United States federal government. USA.gov is an interagency product administered by USAGov (formerly the Federal Citizen Information Center), a division of the U.S. General Services Administration's Office of Citizen Services and Innovative Technologies. 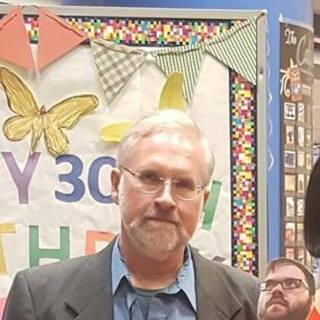 It got its start when Internet entrepreneur Eric Brewer, whose early research was funded by the Department of Defense, offered to donate a powerful search engine to government. That gift helped accelerate the government's earlier work to create a government-wide portal. USA.gov was legislatively mandated through Section 204 of the E-Government Act of 2002 (PDF, Download Adobe Reader). Since 2002, USA.gov has received an annual appropriation from the U.S. Congress. 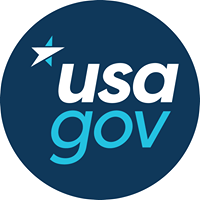 In January 2007, FirstGov.gov officially changed its name to USA.gov. USA.gov’s information specialists can help you locate information on federal agencies, programs, benefits, services, and more. Call us toll-free at 1-844-USA-GOV1 (1-844-872-4681). The USA.gov telephone line is available between 8:00 AM and 8:00 PM Eastern Time, Monday through Friday, except federal holidays. If we can't answer your question directly, our information specialists will direct you to the government agency that can. You can also contact us through e-mail or chat. For your protection, do not include personal information like telephone or Social Security numbers. Chats may be monitored for quality assurance. USA.gov offers chat service from Monday - Friday: 08:00 AM - 08:00 PM Eastern Time (except federal holidays). Having trouble with the chat function? You may need to disable pop-up blockers to take advantage of all aspects of our chat service. If you are using Internet Explorer version 11 and cannot start a chat, please try a different browser. You can also call us instead at 1-844-USA-GOV1 (1-844-872-4681). 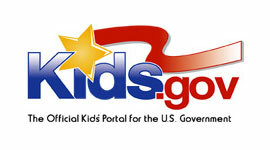 E-mail us your questions about the U.S. government or your comments about our website, USA.gov. We will respond to your questions in English or Spanish. Do you want to send a message to an elected official, such as the President? Refer you to the government agency that can help. Help you locate the information you need. Additional research on your part may be required to get your exact answer. If your question is very complex or specific, we may be able to provide you with more personalized service if you call us at 1-844-USA-GOV1 (1-844-872-4681). We're available Monday to Friday 8 AM to 8 PM Eastern Time. Any resources you have already tried. The program or agency you are asking about, if you know. For your protection, do not include personal information like telephone or Social Security numbers. The official YouTube channel of USA.gov and the U.S. government, linking you to videos across the government. We help you discover official U.S. government information and services on the Internet.